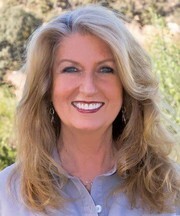 Carolynne has been actively selling real estate in the Northern San Luis Obispo and Southern Monterey Counties for over 35 years. She prides herself on finding the right fit and then effectively negotiating transactions while creating a friendly, no-pressure atmosphere for her clients. She has created a reputation of being a very hard worker by always going above and beyond regardless of the size or location of the real estate involved. Carolynne is honest in sharing her knowledge of all aspects of the transaction. This includes homes and mobile homes in an urban setting as well as expertise in rural land and ranches involving construction, soils, wells, power, septic’s, roads, easements, surveys, etc. Married for over 50 years with three grown children who have all chosen to make their homes within the local area. She enjoys assisting generations within the same families. As a consistent top-producer, Carolynne is a full-time agent and works closely with her real estate partner, Pedro Plascencia, to provide exceptional service to all.